GeoPhilly, Philadelphia’s meetup group for map enthusiasts, is pleased to present After Hours for Planners with Archival Planning Films. 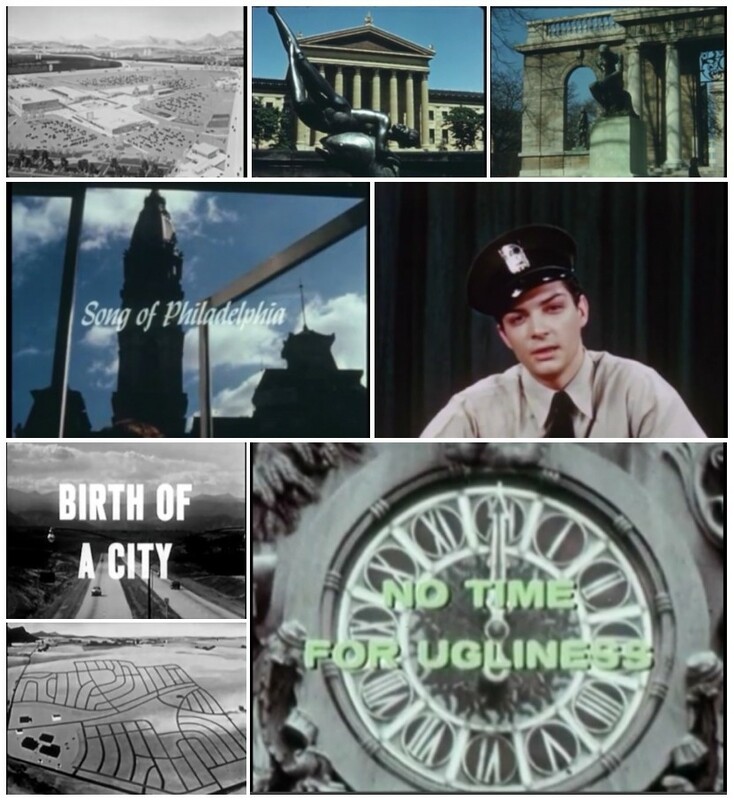 This free event is held on the last day of the America Planning Association, Pennsylvania Chapter Annual Conference and features archival films from the 1950s-1960s about city planning and Philadelphia. 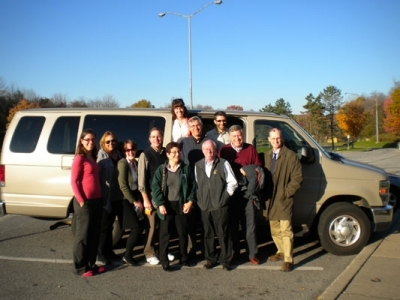 A meet and greet with local urban planners and GeoPhilly members will follow the film screening at The Institute Bar. These archival films are a time capsule of mid-century Philadelphia life and historical planning practices. The films feature a variety of planning recommendations which are at times archaic and at others times innovative and progressive. We hope you will find these films as charming, entertaining and fun as we do! To travel from the conference, take the Market/Frankford line westbound from 2nd and Market to 11th and Market. You can either walk north on 12th Street to the venue located at Spring Garden and 12th or you can take the 23 bus north from 11th and Market to 11th and Spring Garden and walk to 12th street. 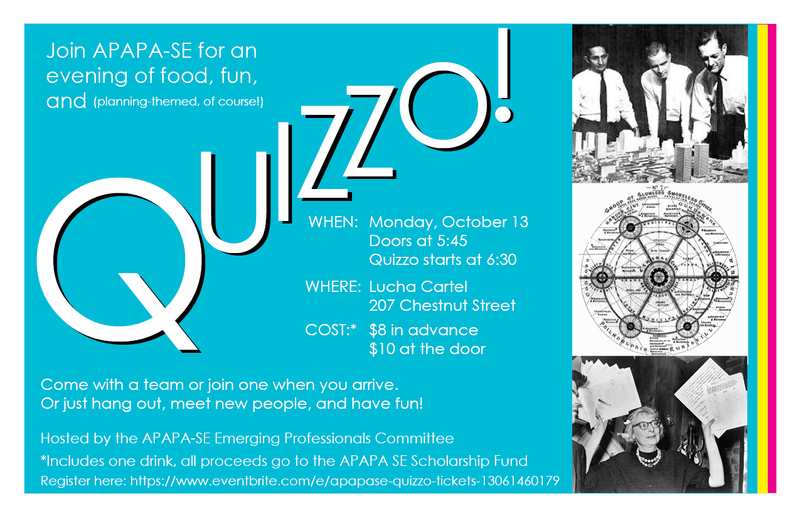 Join APAPASE for an evening of food, fun, and (planning-themed) Quizzo! Doors open at 5:45 PM. 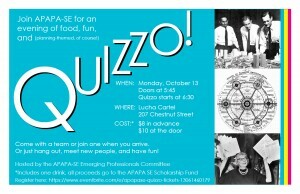 Quizzo starts at 6:30 PM. Come with a team or join one when you arrive. You can also just hang out, meet new people, and have fun! Tickets are $8 in advance or $10 at the door. Price includes one drink, all proceeds go to the APAPASE Scholarship Fund. Buy tickets here. The Planning Committee for the 2014 APAPA Conference is meeting on September 25. 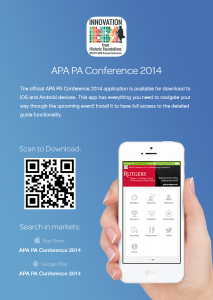 Register to Reserve Your Spot at the APA-PA Annual Conference in Philadelphia! 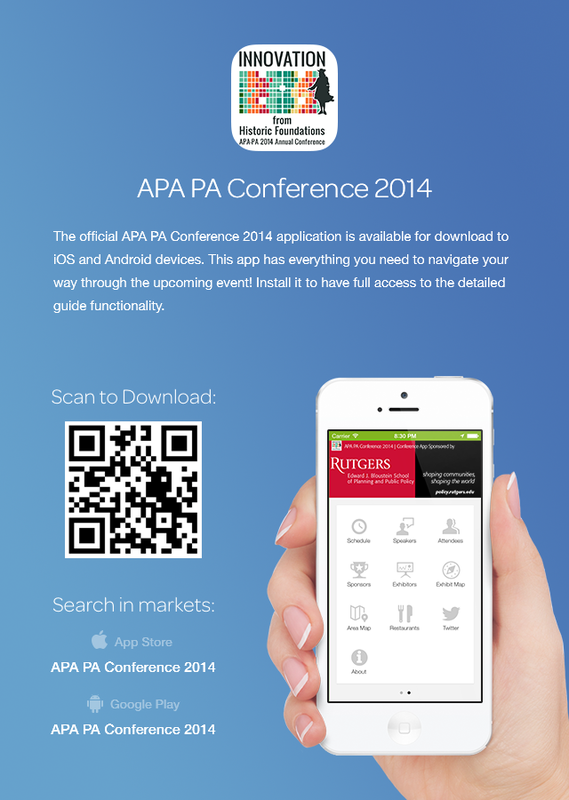 Registration for the APA PA Annual Conference is now open! Register online here by September 12 to enjoy the early bird rate. View the preliminary program here. This year’s conference includes over 50 sessions and 6 mobile workshops. Reserve your hotel room at the Society Hill Sheraton at the group rate of $169 (plus taxes) per night. Hotel reservations must be made by September 15 to receive the rate. However it is recommended you register sooner as it is anticipated the hotel will sell out. Also, SEPTA is offering free 5-day Independence Transit Passes to conference attendees. If you would like to take advantage of the pass, you must check the appropriate box on the conference registration form. There is an additional $1 to receive your pass in the mail in advance of the conference or it may be picked up at the SEPTA booth at the conference. The Planning Committee for the 2014 APAPA Conference is meeting on August 13.